For patients suffering from bladder cancer, one of the common cancers among men, there is good news. A unique surgical approach which involves replacing the cancerous organ with an artificial one created from a portion of the small intestine may help them avoid the trauma and inconvenience of carrying an external pouch for passing urine. This is how it works. When a person is diagnosed with bladder cancer which is affecting the muscles, he or she must have it removed. In a conventional surgery, doctors create an opening in the belly and connect it to an external pouch for passing urine. But in this procedure, a portion of the small intestine (70 cm) is removed surgically, configured into the shape of the urinary bladder and positioned inside the body in the same position as the original bladder. The surgery takes about four hours. Most patients are able to urinate normally post-surgery. “This procedure and the results are good. 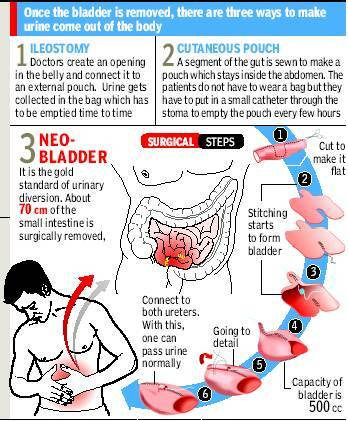 Most recently, a 70-year-old patient suffering from bladder cancer underwent this procedure a tour centre and he is able to urinate naturally,” He added that the new procedure is a boon mainly for young patients who would Otherwise find it difficult to go for work or continue with routine life if they have to carry an external pouch for urine at all times. A Gurgaon based businessman who was advised bladder removal after being diagnosed with cancer last year, agrees. “The neo-bladder operation has been a great relief, the only limitation being that I do not feel the sensation to urinate as earlier. I have fixed an alarm system every one hour to relieve myself,” he said. Doctors say that though the neo-bladder reconstruction surgery was started decades back it has been limited to few centers in the country due to lack of expertise. “The outcome of this surgery depends a lot on the surgeon’s skill. If the neo-bladder is not constructed properly, there is high risk of incontinence and infection,” said a senior doctor. 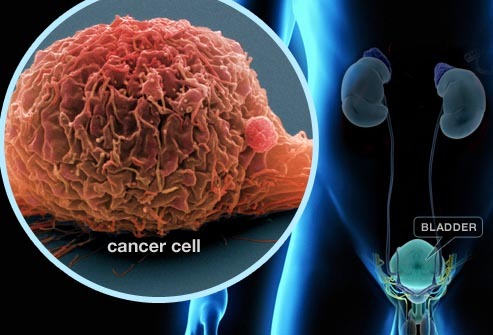 Bladder cancer, doctors say, is the fifth most common cancer in men. In women, incidence is much lower. 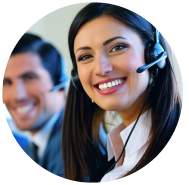 Muscle Invasive Bladder Cancer (MIBC) | In MIBC, bladder removal is the only option.